Here at Swarthmore, Republicans are often called racist. Almost daily, I’m treated to cocky sermons about how the Democratic Party is the “good” party on civil rights. This view ignores the bloody, violent history of Democratic racism. Democrats of all kinds—liberals, too—committed the bulk of racial sin in this country’s history. Republicans have bigotry in their own past, but it simply doesn’t compare to the terrible crimes of the other party. Let’s go on a brief tour of American history so you can see what I mean. Lyndon Johnson is credited with passing the Civil Rights Act of 1964. This bill was also filibustered by Democrats, and most of the nay votes were Democratic ones. In the Senate, 82 percent of Republicans voted yea, compared to 69 percent of Democrats; in the House, the breakdown was 80 percent to 63 percent. Among those voting nay were Democratic icons like J. William Fulbright, Richard Russell, Sam Ervin, and Robert Byrd. They all fought the bill just as they fought every other piece of civil rights legislation. These Democrats’ hostility to blacks was part of a long tradition that began before the Civil War. Shortly after its founding, the Democratic Party consolidated a base constituency in Southern slave states. The planter class exerted disproportionate pressure over Congress and tried to expand slavery to the western territories. The South refused to respect the results of the 1860 election, tearing our country in two. Not all Democrats supported slavery, but there’s no denying that slavery was the Democratic Party’s system and the grueling war that abolished it was the Democratic Party’s fault. During Reconstruction, unrepentant ex-Confederates made sure that freedom from slavery would be the only freedom blacks had. Nathan Bedford Forrest, delegate to the 1868 Democratic National Convention, became the first Grand Wizard of the Ku Klux Klan and unleashed a wave of slaughter against blacks and Republicans. After the army withdrew from Southern states in 1877, Democratic legislatures immediately began segregating blacks from whites, denying the former their basic rights. Ignoring the Civil Rights Act of 1875, racist politicians segregated public works, restaurants, restrooms and countless other parts of everyday life. Poll taxes, literacy tests, grandfather clauses and merciless intimidation stopped blacks from voting. By the 1890s Jim Crow weighed over the entire South and would remain for decades after. This “Solid South” was so heavily Democratic that Republican presidential candidates simply wrote it off as a lost cause. 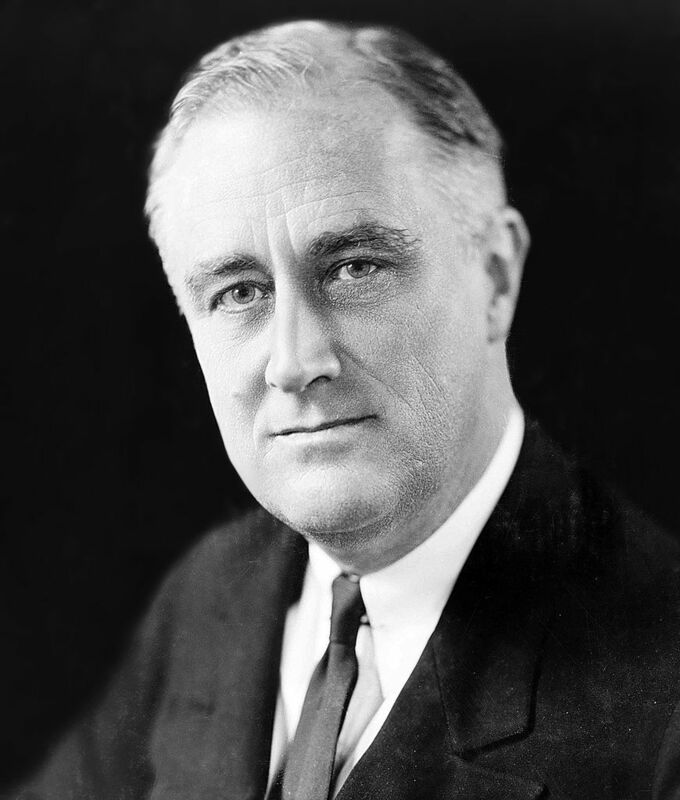 Franklin Roosevelt, another liberal icon, also has a miserable civil rights record. While he served Assistant Navy Secretary under Wilson, his department was completely re-segregated. This gave Roosevelt no unease. As president, his first appointment to the Supreme Court was Hugo Black of Alabama, a former member of the Ku Klux Klan and opponent of anti-lynching legislation. Although New Deal policies did not intend to hurt blacks, they certainly did, and Roosevelt did little to stop it. The NIRA robbed work from hundreds of thousands of blacks and the TVA discriminated against black farmers, sometimes forcing them off their property. Roosevelt’s record really plummeted during the Second World War: as before, black soldiers fought in segregated units, and the government interned tens of thousands of Japanese-Americans in concentration camps. The president’s personal life was not much better. At his home in New York black servants were forbidden to eat with white ones. He owned a Georgia resort that was for whites only, and black employees were obliged to sleep in the cellar. 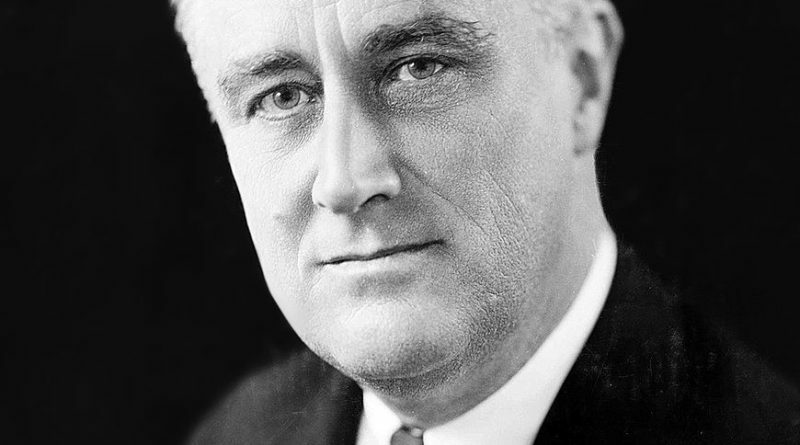 Roosevelt may have been a great president, but he was no champion of civil rights. Government was not the only organ through which Democrats abused blacks. Unions, organizations then and now overwhelmingly Democratic, were openly racist. In 1906 W. E. B. Du Bois characterized unions as “the greatest enemy of the black working man.” Well into the twentieth century they were still trying to stop blacks from succeeding. Economist Ray Marshall notes that “in 1930 there were at least 26 national unions which barred Negroes from membership by formal means.” Many unions approved of minimum wage laws partly because they priced blacks out of the labor market (this was also an apartheid tactic). After Brown v. Board, unions opposing school integration started enlisting Klansmen. Even after the Civil Rights Movement, some unions continued to use informal methods to reject blacks. The progressive wing of the Democratic Party has much to be ashamed of. I don’t pretend that there are no racist Republicans; there are. But the crimes of my party cannot be equated to those of the other. It was Democrats who fought for slavery; it was Democrats who instituted segregation; and it was Democrats who fought tooth and nail against its abolishment. No, most modern Democrats aren’t racist. But they have absolutely no right to be cocky about civil rights. It’s like a doctor who’s smug about curing one patient when he poisoned the previous twenty. Cut out the fantasies and talk about your past, Democrats. Jeez. I thought that I was being so careful about typos! I hope my points are still clear! We have a class together, so I know that you’re not an awful person. I think the pushback to your article is going to involve a lot of folks calling you a plethora of awful things. Being a conservative doesn’t make you a morally deficient human being, though, so hopefully you will see what I’m about to say as not an affront on your character but as a scholarly debate? The following comments are my thoughts on your article based on my studies and lived experience and the lived experience of my loved ones. The main thing I want to note is that the arguably most racist people (those in greatest opposition to the civil rights efforts of Blacks and other marginalized people) in the Democratic Party decided to become Republicans because of the increasingly public stance democrats were taking on race related issues. They felt alienated from their party, who had previously (as you note) acted much in contrary to the evolving party lines. So yeah, historically, Democrats could be said to have committed the most heinous racially motivated injustices. Fine. So let’s start with the man in the mirror, so to speak. I think a great idea for a next article could be (roughly): “Why Republicans Shouldn’t Be Labled as Racist.” Really stuck it to the people calling you racist by providing indisputable evidence from a range of credible sources that Republicans aren’t racist, because this article could be accurately renamed as “Democrats Are Have Been More Racist Back In Time So Don’t Use The Present Day to Make Your Argument That Modern Republicans Are Racist.” I’m not convinced by what I read. The democratic party did not decide to just switch and be Republicans. This is something the democrats have pushed for years. The reality is democrats started changing to Republican in the late 20’s and early 30’s to Republican to get away from the democrat/liberal racism. I appreciate your courtesy and reasoned disagreement. It’s really nice of you. In this article my aim is not to absolve the Republican Party or even to deflect accusations of racism. Republicans have their own problematic experience with race, and I acknowledged this in my editorial. But we all know this, it’s talked about all the time. My point is rather that many Democrats prefer not to speak of their party’s racist past. It’s usually swept under the rug, or if addressed, it’s explained away by saying that “the parties flipped in the 1960s,” which I’ll get to in a moment. The point I’m getting at is that the current liberal core of the Democratic Party, not the conservatives who used to have such prominence in it, has a racist past of its own that it rarely if ever acknowledges. Lots of liberals in my personal experience say to me, well yes, the Democrats were racist, but those were the Southern Democrats and they left the party long ago. Now we’re run by the liberal wing of the party, and it was this wing that led the drive for civil rights and displaced the racist Southerners. As I demonstrate in my article, this is only half the story. This same progressive part of the party, the one that most current Democrats see as their ancestry, was also extremely racist. This is pretty much ignored. My argument is that liberals ALSO bear responsibility for racism and that they should talk about this. I acknowledge, however, that I could have made this clearer. Actually, in retrospect I should have made it the central thesis of my piece. As it is, I still talk about it at length. Now on to the facts. It is true that Strom Thurmond and a few others in his camp became Republicans in the 1960s, but the majority of the Democrats who opposed civil rights legislation actually stayed in their party. Nearly everyone who signed the terrible Southern Manifesto in the 1950s remained a Democrat, as did most of those who voted against the Civil Rights Act. Robert Byrd, a former KKK member who notoriously filibustered that bill, went on to become president pro tempore of the Senate and died just five years ago. As for the people themselves, let me say that the “Southern Strategy” and the supposed realignment of the parties starting in 1964 is a myth. Race was certainly a factor in South’s shift to the Republican Party, and it is true that some Republicans of the time used race-baiting techniques to get white voters over to their side. But the fact is that race was not the only, and not even the most important, issue that caused this shift. The party switch had begun in the 1920s and by the 1950s Republicans were already very competitive in the South. The main reason was economics, not race. If you analyze the voting records of Southern congressional Democrats on just economic issues (not race/social issues) starting in the early twentieth century, you will find that in the 1930s more and more of them were voting with Republicans. As investment began pouring into the South and the region became wealthier, more Southerners started voting Republican, long before the Civil Rights Movement even began. In the 1940s Republican presidential candidates were winning about a quarter of the Southern vote, compared to the paltry numbers they’d be getting only thirty years before. In 1952 Eisenhower won an amazing 48% of Southerners. In the election of 1956 he did even better. The fact that Barry Goldwater finally won the South in 1964 was hardly a surprise; it was a process that began way before that year. It’s not like most Southerners suddenly got up and said, well let’s vote Republican to satisfy our racist urges. This was a long, long chain of events that didn’t really wrap up until the 1990s. The South didn’t become truly a safe Republican zone until the late 1980s, long after the Civil Rights Movement had come to a close. Democrats were still very competitive in state legislatures all throughout the prior years, and Jimmy Carter actually won every single Southern state except Virginia. The conventional wisdom that the parties flipped over race has a kernel of truth, but it’s mostly incorrect. I wanted to talk about this in my article, but I didn’t have the space, so I originally called it “Democrats and Race, Part I” and promised a discussion of the Southern Strategy in Part II. The editors cut that part out. In any event, I’ll address this is greater detail in my next article. Again, I really appreciate your honest disagreement and courteous commentary. I’m so confused as to why this article was published. Congrats author, on killing the straw man which I never knew existed. Oh, there was racism in the Democratic party’s past? I really don’t see how this in any way changes any current criticism of either party’s racism. But in one case you have a problem where racism is normalized against the president, and additionally pretending that society is post racial and doesn’t recognize there being systemic problems of discrimination in the United States. You go to Swarthmore College and wrote this article? The Phoenix has had a pretty depressing record of publishing bad articles recently, it beats me why they allow you a space to state historical facts to weakly imply that the liberals can’t complain about party racism because of the relevant history. You can complain about anything anytime, it all depends on the support for any argument you give; in this case it’s pretty clear you’re really not making any real argument and this is just an embarrassing whining about a double standard that doesn’t really exist. The article is not about the way things are now. The article is about the way Democrats behave regarding race. It discusses how the liberal core of the Democratic Party today has a racist history which it prefers not to talk about. There is a linear development between the progressive policies of Wilson and Roosevelt and the Democratic party platform today; so the liberal wing of the Democratic Party should acknowledge that it too has a history of racism instead of just saying that the parties flipped and leaving it at that. Does a reformed murderer have the right to ignore his past because he donated money to charity or helped others? When you repent, you acknowledge your past sin, and modern liberals are frightfully bad at this. I really don’t understand the point of this article… Even if it were true that “historically, democrats are the real bigots”, it wouldn’t negate the idea that many of the current narratives and policies pushed by the Republican party are racist. But then of course these current policies and narratives are born out of a certain history of racism. This is a history that this article neglects. But moreover, why even participate in perpetuating these party politics? Even if you were right, what’s the point of proving that Democrats are the “real bigots”? What does that even mean? I’ve never quite understood why some people relate their personal identity so closely to political organizations. Quite frankly I have little faith in any political party, least of all the Democrats and Republicans. But certainly buying in to this divisive party politics obstructs whatever bipartisanship and cooperation is possible. It also distracts us, as citizens, from pursuing the heart of the issues, which is in our mutual interest. This is better than The Onion. This is a badly written article. As a person who does not particularly associate with either party, I understand that Swarthmore is very liberal/democrat heavy and there is a bias agains the conservative parties. Accusations of wrongdoings are not uncorrect – democrats and republicans alike partook in many racist crimes. Anyone who studied US history would know that the democrat party is and never was a patron saint from heaven. Nor was the republican party racist and bigoted. Hell, Abraham Lincoln was republican. This article however was written in hate. The claims are blown up in proportion, and the argument is very one sided. From my observation, the political atmosphere is ever changing, and currently many Swarthmore students agree with ideas and policies presented by the democratic party. If things were to change, I’m sure the campus mindset would also change. This article does not invoke intellectual conversation nor does it really make me question my values in a productive way. Simply, this was a very un-Swarthmore like article. I don’t think the author was intending to make you question your values. He obviously just got sick of Democrats moralizing to him about race, so he wrote a piece about how they shouldn’t be so arrogant on the issue. It wasn’t written in hate, it was written in annoyance. He doesn’t accuse contemporary Democrats of racism and he doesn’t claim that Republicans are saints. He just tells the Democrats to be more careful about what they say, given their history. This article implies that the republican and democratic parties at all resemble what they were 200 years ago. What I’m getting from this is ‘Republicanism isn’t racist because Lincoln freed the slaves!’– yet you fail to mention Nixon’s campaign in the south to entirely resegregate schools, which is what converted the South from a democratically-tending region to one that many now consider to be the most loyally conservative parts of this country. I’m sorry but this comment is simply ignorant. Not only did Nixon not re-segregate schools, he DE-segregated them, in addition to establishing affirmative action. Nixon ordered his Justice Department to file as many lawsuits as necessary to desegregate Southern schools, including a famous suit against the state of Georgia. The Health, Education and Welfare office reported that the number of black students in all-black schools went from almost 70 percent in 1968 to 14 percent in 1970. Black students in mostly white schools went from 18 percent in 1968 to 39 percent in 1970. Nixon was praised by the NAACP and numerous black leaders for his efforts. Nixon’s drive to de-segregate schools was the most effective and complete of any other president’s. If you want to make comments like that, back it up with facts, not sweeping statements. Furthermore, I think you’re missing the point of the editorial. The author said twice that Republicans are guilty of bigotry too. His point is not to discount that Republicans have committed racial sins, but rather to point out that Democrats love to take the moral high ground on an issue where they committed terrible crimes as part of what is very plausibly a worse overall track record than that of Republicans. I’m not a fan of the modern Republican Party, but the author’s right that Democrats have a habit of ignoring their past on this issue, or blaming it on the conservative wing of the old Democratic Party. Saying that “the parties were different” is basically an attempt to argue that, well, the Democrats were really conservative back then, but now they’re liberal so it’s different. You obviously didn’t read the piece very carefully, as there are entire sections about how the liberal wing of the Party that’s now in charge has its own racist past.